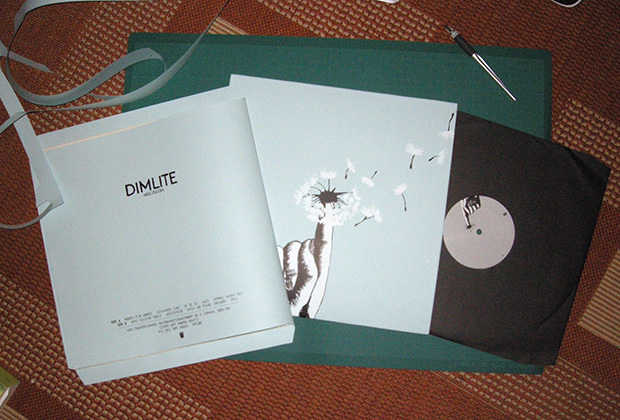 There they are, 12-inch vinyls of Dimlite’s «Abscission». Place your Order (price INCLUDES shipping cost) while we get them ready and packaged. Silkscreen printed, hand-cut, -folded,-glued tip-on sleeve (due to a fit of lunacy) (and they’re cheaper to produce that way) (we won’t make too many) (’cause we don’t want to sit on unsold records). These won’t be available in stores, only here. We’ll be shipping in January 2013. If you don’t have the digital version we released in June: By ordering a physical copy you automatically get a download link.